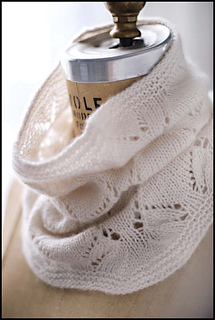 A sophisticated neckwarmer -- perfect for small amounts of luxury fibers. Need a quick gift? Want to treat yourself to something cuddly with that special hank of cashmere, yak, or bison? 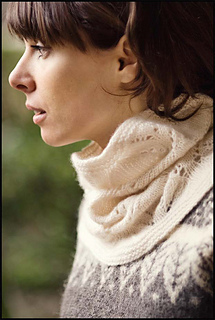 Ptarmigan is a perfect choice: close fitting and luxurious, an accessory that is quick to knit and indulgent to wear. 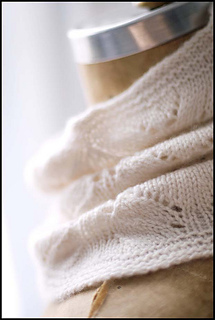 Pattern can be worked in sport or light-DK weight yarns. Finished dimensions: 25.5” circumference at base, 18.5” circumference at top of funnel. 12” in length from base to top. 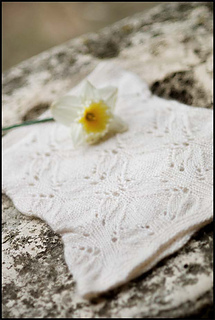 Lace motifs for this pattern are charted.